After suffering the last minute drop of a double sided attorney, Team 1526 pulled together last minute role assignments and came out to compete in Lancaster. 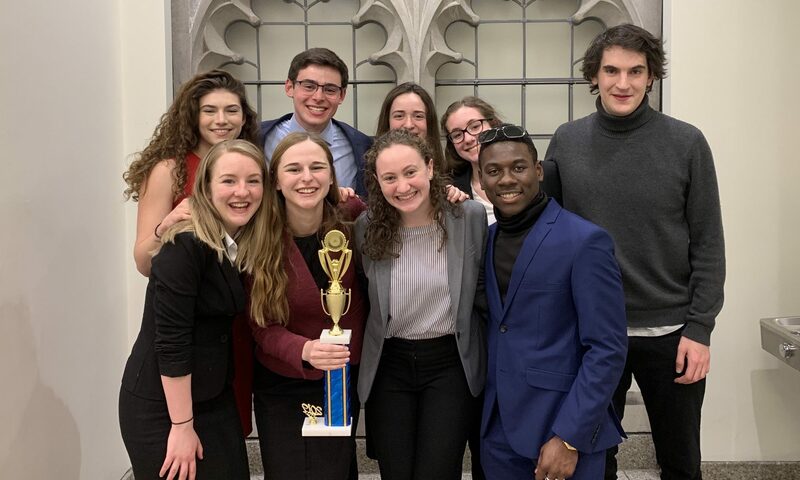 Despite 1526’s setbacks, they were awarded the Spirit of AMTA award for exemplifying the American Mock Trial Association’s values of justice, civility, and fair play. Full results here. Team 1526 came in fifth place at the Buffalo Regionals, earning a bid to the Lancaster Opening Round Championship Series. 1526 only lost one round, finishing with a record of 6-2-0. Joshua Ng won an All Region attorney award with a perfect 20 ranks for his performance as a defense attorney. Full results here.